Berkshire Hathaway HomeServices Elite Properties announced today that Corey Nordike has joined their local real estate team of professionals. Nordike has the knowledge, the drive and the dedication to get results for his clients. The Berkshire Hathaway HomeServices Elite Properties team proudly serves Madison and St. Clair counties. Prior to joining the team, Nordike’s career has included being an emergency medical technician, teacher, and real estate broker. 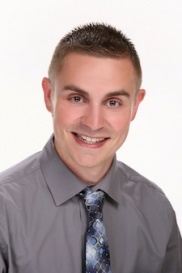 He is a 2014 Graduate of Southern Illinois University Edwardsville (SIUE) and loves living in the Metro-East. While at SIUE, he majored in Geography with a minor in Political Science. Nordike’s main goal is to make the entire real estate process effective and enjoyable, placing the needs of his client’s first. Julie Lading, Vice President and Managing Broker of Berkshire Hathaway HomeServices Elite Properties, is thrilled Nordike has joined their growing team. “Corey is very passionate about the local real estate market, offering clients his utmost dedication and professionalism. Corey won’t be happy until he’s sure his clients are completely satisfied,” said Lading.